Home video recording studio setup for vlogging. Making videos with LED ring light panel and smartphone. 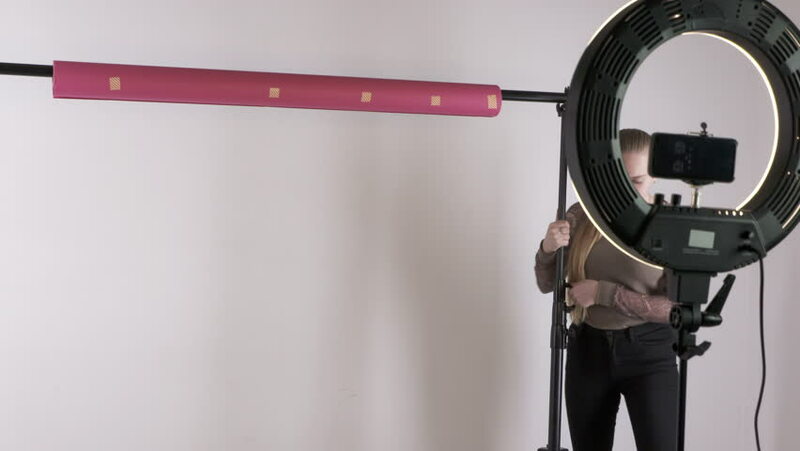 Teenage girl installing portable background support system stand and pink paper backdrop. 4k00:22Young girl assembles portable background support system with paper backdrop. Home studio set up for vlog video recording.